Twitter Deletes Millions of Fake Followers, But Will You Even Notice? Twitter has begun removing tens of millions of suspicious accounts. 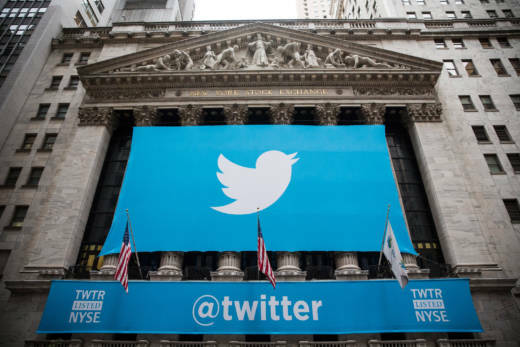 "As part of our ongoing and global effort to build trust and encourage healthy conversation on Twitter, every part of the service matters," wrote Vijaya Gadde, Twitter's Legal, Policy and Trust & Safety Lead, on the company's blog. "Follower counts are a visible feature, and we want everyone to have confidence that the numbers are meaningful and accurate," she added. It’s an open secret: Many users inflate their follower count—on Twitter, Instagram and elsewhere—with automated or fake accounts, creating the appearance of popularity to bolster their careers in entertainment, retail, even politics. "It spoils the game for everybody. It makes the internet into more of a cesspool. It makes customers, consumers and users more suspicious of the results of the content of everything that they consume," says Rebecca Lieb, a digital marketing consultant who says fake followers are the social media equivalent of spam, and they are bad for business. Twitter, she says, "should absolutely be concerned about getting rid of bad actors, just as we passed legislation about spam, just as the search engines will kick off a site from search results if they're trying to game the system." Twitter forbids selling or buying followers or retweets, but it also permits more automated access to its platform than other companies, making it easier to set up and control large numbers of accounts. Not that Facebook or Instagram are immune from automated manipulation. The New York Times has exposed how dozens of companies openly sell accounts and activity such as likes. Individuals have posted videos on YouTube to show you how it's done. "Welcome to the new age of capitalism" says the copy on this jaw-dropping video on Twitter demonstrating how easy it is to automate likes on Instagram from halfway around the world in Russia. For entertainers and entrepreneurs, especially would-be social media "personalities," large follower counts are critical to land sponsorship deals from credulous advertisers. "It's very very difficult for the brands who are paying the big bucks to know [who's faking it], which is why you've got to look at business results and goals, not just numbers," says Lieb. "But the bad actors are pretty sophisticated and always getting more so, so the algorithms on the side of the social networks are racing to keep up. We're always going to see the same dance danced in new media, in new channels and by new people. It's human nature. 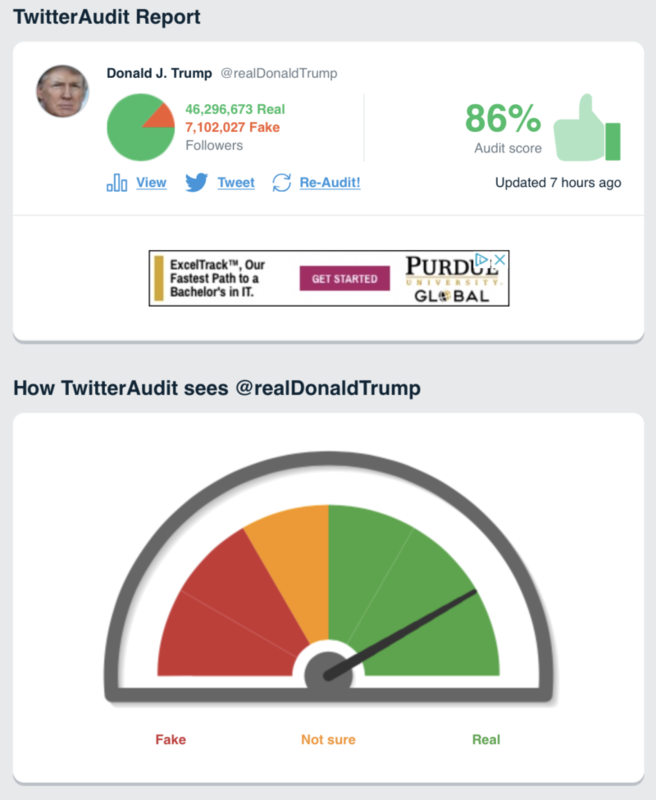 Fake followers, whether individuals or companies, tend to flock to accounts with large followings, according to David Caplan, co-founder of popular site TwitterAudit. Many large account holders will mindlessly follow back, and they don't typically have the time to cull through their followers to find the fakes. That makes it difficult to determine whether popular people are gaming the system, or simply encrusted with digital barnacles like a whale moving through a social media ocean. Caplan says many scoop-hungry journalists have contacted him when they spot a large percentage of fake followers following a major pop star or politician. Caplan patiently explains how to read his site's results. To start with, the percentage of real accounts needs to as low as 20 percent or less to raise alarm bells that the account is a fake one, as opposed to infested with fake followers. Politicians, especially, attract enemies and obsessive fans. Who's to say whether fake followers "discovered" with a TwitterAudit reveal a vain politician, a conniving campaign manager, or really, anybody rooting for a rival candidate, Caplan says. So if the rock star you love to hate looks like she just lost a lot of people today on Twitter, that doesn’t necessarily indicate she was cheating before this latest purge.